The Polyco Finex Powder-Free Medical Latex Gloves LMPF 100 are a non-sterile powder free latex examination gloves that provide outstanding dexterity and comfort. Adhering to the EN 455 European standards requirements, these gloves are designed to reduce product contamination, not inflame sensitive skin and to have a smooth surface with high levels of grip. 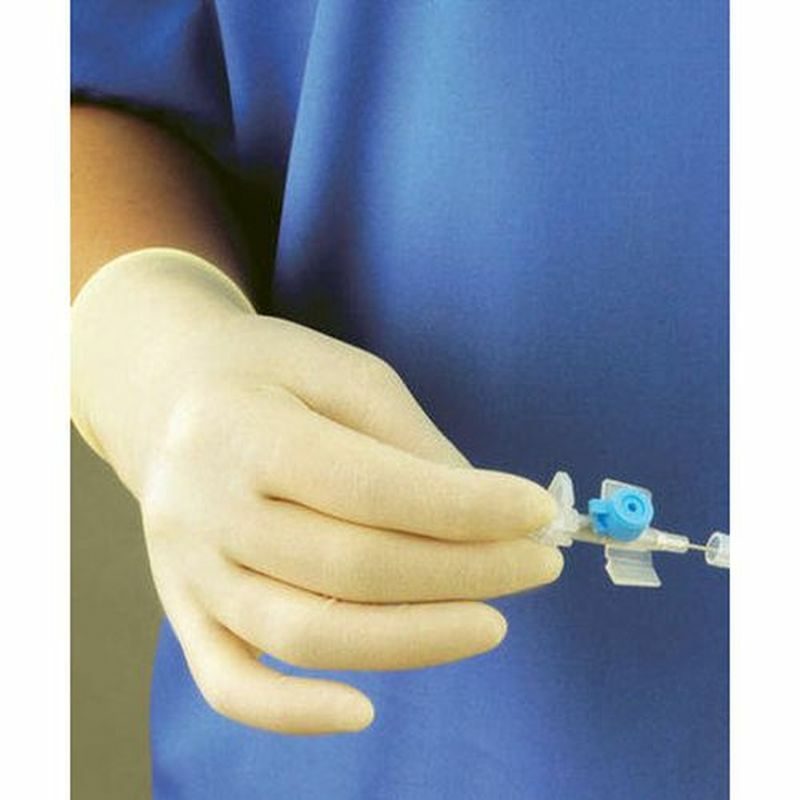 The LMPF100 Gloves adhere to European standard EN 455 for single medical use gloves. Tested against requirements for physical properties, biological evaluation and shelf life determination. The Finex Powder Free Medical Gloves are available in five sizes that should suit the hands of most users. Please measure the circumference of your hand around the knuckles (excluding the thumb) with your hand open and your fingers together, and the length of your hand from the tip of your middle finger to your wrist.